Listener Feedback: Jason has a question for Mike Stackpole about non-linear writing, as for games and choose-your-adventure stories, leading to an explanation on flowcharting paths and branches for those types of stories, and possibilities with newer technologies. 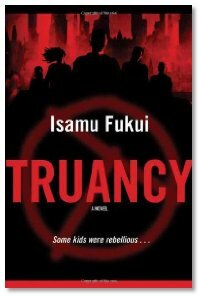 Interview: Mike, Summer and Mike talk to 17-year-old Isamu Fukui about his first SF novel, Truancy. He wrote a 100,000 word novel in a summer vacation... don't hate him, take it as inspiration! Listener Review: Review of Stewards of the Flame by Sylvia Engdahl. Discussion: The guys respond to the comment about why we don't mention electronic editions or podcasts as part of the Library segment. Actually, we need to hear about them before we can check them out and let you know about them. How can we mention stories or audio dramas if the producers don't tell us about them? Promo: Parsec Awards 2008: Nominations Open! Just so you know, this showed up in iTunes on Wednesday but wouldn't download till Friday and the download is very slow. Started a couple of 'casts ago and I was hoping it would be resolved but it seems to be an ongoing problem now. I remember the solo adventures, and one had a witch that the player could seduce and would cast a modified "bigger is better" spell. My favorite though was a book that contained nothing but traps.